A glorious Cuban cigar, back before the sixties, was truly a prize, something to be cherished, something to smoke lovingly. 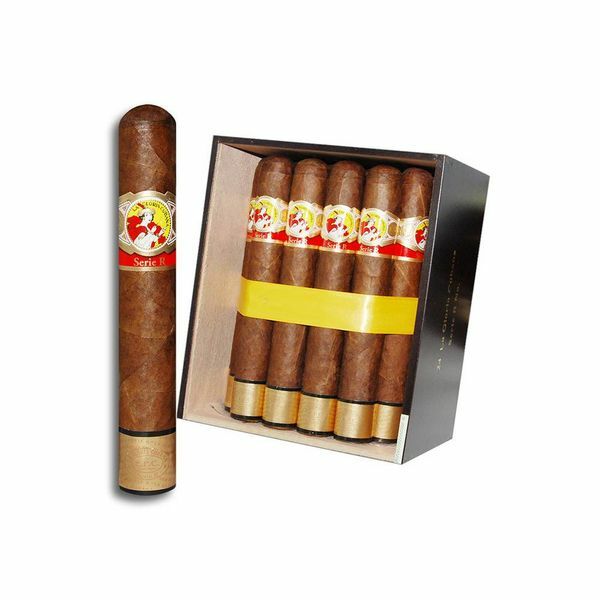 And La Gloria Cubana was one of those cigar makers who made great cigars, and had done so since the last quarter of the 1800s, making fine cigars that were enjoyed all around the world, truly bringing glory to the fine people in Cuba who were putting them together. But the good times were not to last, soon to be ruined by the onslaught of communism. As the communist revolution took hold in Cuba, they began to seize the cigar manufacturers. The best ones, the brands that were most beloved, would continue production, being made under the control of the government. La Gloria Cubana was thus naturalized, and they would be made under the control of the government from then on. That is, until the brand opened up shop elsewhere in the world, and began making cigars again. 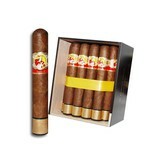 The Serie R is one of those great cigars they began making. Made with the best tobacco that the Dominican Republic has to offer, and with filler that has been aged a few years longer than the norm, this is a full-flavored cigar with a lot of taste, filled with hints of coffee and earth, and a cigar that you will be guaranteed to want another of.